Kirsten is a caring and compassionate therapist. Her areas of therapeutic strength are anatomy and physiology. Muscle testing and assessment of sports injuries and a suite of musculoskeletal conditions found in all age groups. Kirsten can get you back in the game, work or play. Early in life Kirsten realized a career in healthcare was what she would excel at. Coming from a family with a background in Medicine and Engineering she found the combination of academics, science and the hands on skills of Registered Massage training suited her very well. Kirsten graduated from the West Coast College of Massage Therapy, Victoria in December 2012. Since graduation Kirsten has provided Massage Therapy for the elderly, athletes, professionals and clients with rehabilitation needs. Kirsten has excellent assessment skills and can focus on getting results for your muscular and skeletal symptoms. Kirsten is an enthusiast for massage events and the public. Contact her for any of your mobile therapy needs such as events and mobile visits for those individuals unable to visit our massage therapy clinic in Victoria. 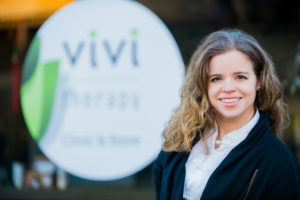 Kirsten also offers workplace, wellness and rehabilitation focused therapy from Sidney to Langford if planned in advance. Kirsten enjoys the great outdoors and loves to swim in our many beautiful lakes and take hikes with her two dogs. She also has a keen interest in martial arts and cooking natural and healthy foods. Book a mobile massage appointment online here!